The 17th annual Surrey International Writers Conference kicks off this weekend with a series of keynote speakers, workshops, editor & agent interviews and book signings. 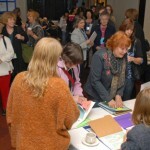 Speakers include Diana Gabaldon, Gary Geddes, Annabel Lyon and C.C. Humphries. 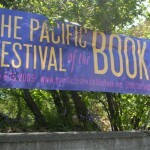 Check back here next week for photos and more from the festival. 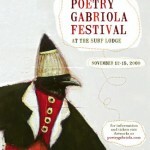 The 6th annual Poetry Gabriola Festival comes up in a few weeks starting on November 12 and running through to November 15 on beautiful Gabriola Island near Nanaimo on Vancouver Island. 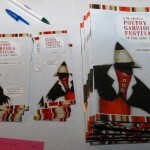 Poets appearing include Christian Bök, Marilyn Bowering and Paul Dutton and many many more. All events at the Surf Lodge.